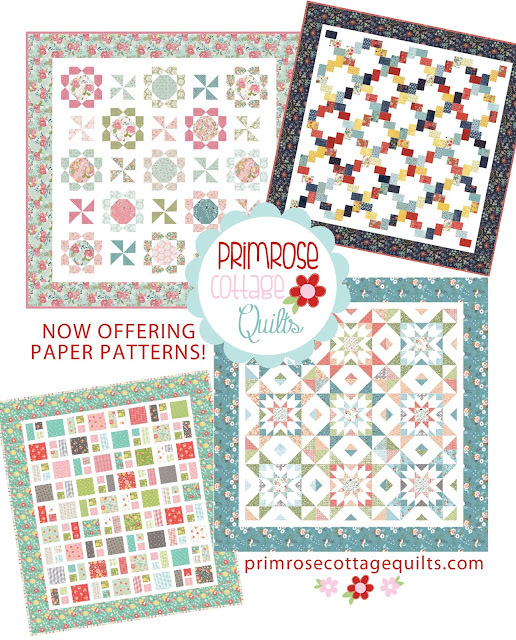 Primrose Cottage: Now Offering Paper Patterns! We have exciting news! 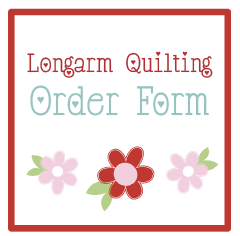 We are now offering our first batch of paper patterns! Pinwheels and Posies is a fat quarter friendly quilt pattern, finishing at 64” x 64. This pattern is made up of two different quilt blocks, and would be suitable for a confident beginner. 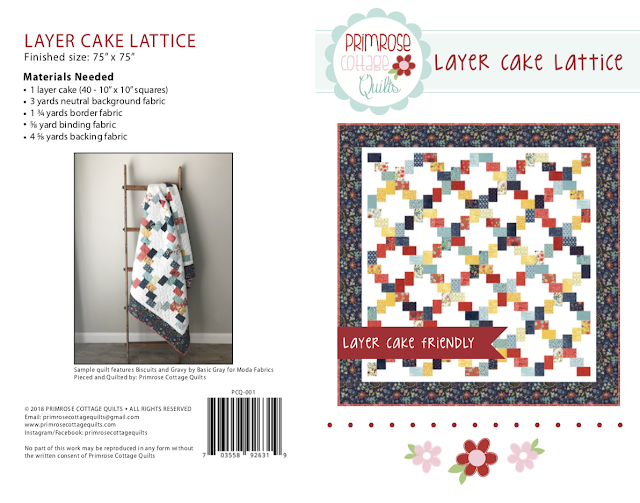 Layer Cake Lattice is a Layer Cake friendly pattern, finishing at 75" x 75. 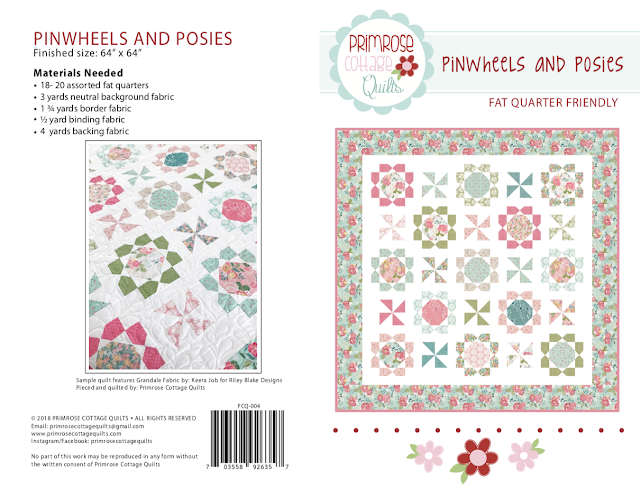 This is an easy quilt pattern that sews together quickly and would be suitable for the beginner quilter. 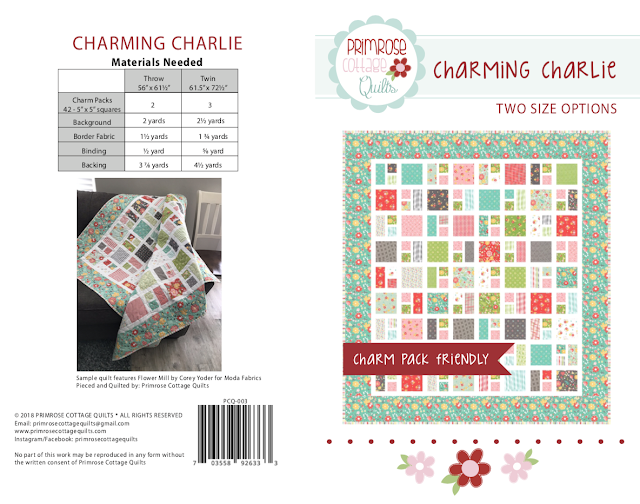 Charming Charlie is a Charm Pack friendly quilt pattern in two sizes, throw and twin. 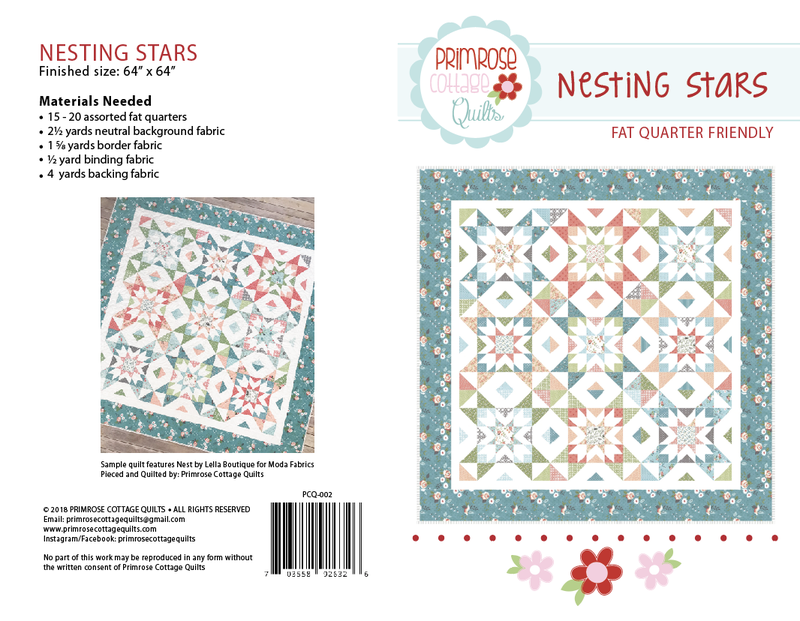 This is an easy quilt pattern that sews together quickly and would be suitable for the beginner quilter. Nesting Stars is a fat quarter friendly quilt pattern, finishing at 64” x 64. Large blocks, make for easier piecing. This quilt would be suitable for an intermediate quilter.